It has been a busy week. The bees have occupied some of my time, weeds too much of my time, lovely carrots so sweet when roasted, removing the fading sugar snap peas…..replaced with English Cukes & Straight 8 cucumbers, two loaves of sourdough bread just pulled from the oven moments ago…….fortunately we are not web-camming as the drool drips from the corners of my mouth, trimming back banana plants to maximize production, making strawberry jam, yard cleaning/kitchen table office cleaning……sister-in-law arriving this evening…..I am already tired and ready for my nap. The bees, the queen and brood going back into the original top-bar hive over the weekend seems to have gone very well. The companion Langstroth hive is filling with honey!!!!!! Yee Haw! I am also helping the property owner get his garden up and going, feeding his chickens, harvesting eggs and mowing his grass. The things a beekeeper will do to for the host! The split in Splendora on the “Cowboy” hive failed…..I feel guilty, as it was my mismanagement that lead to the failure. The only saving grace is another lesson learned to add to my prior mistakes. The remaining hive out there is doing well but may have earned a re-queening this coming fall. They are a bit defensive…..yes another one popped me in the face….on the nose. Strawberry Jam. My “Goo” friend John’s daughter gives me the ultimate compliment for my strawberry jam – when she runs out of mine she falls back to “Smuckers”, she says mine is sooooo much better than store bought…..According to Brittany. I am a fan of the low sugar recipe from Sure-Jell light. Seems to let the taste of the berries shine through. I use Sure- Jell light for all my berry jams! The jam, cooked, ready to skim the foam prior to canning. The foam does not go to waste, my wife uses it on her egg-white/oatmeal frittatas. Six half pint jars and 3 – 45 ml jars for fun and gifts. I have to share more about my carrots. As I have mentioned before, my soil has lots of clay but the adding of compost for four years has improved the soil, somewhat. I plant varieties that are shorter, stockier and tolerate the heavy soil better. Well, either a seed mix up or a rogue carrot in my patch. This guy was pretty hefty! Frame of reference – I have to order XXL beekeeper gloves and would love to find some XXXL gloves. Just had to add a bee picture. There she is….tucking some pollen away. The symmetry is almost mind-blowing! I just marvel at what nature can accomplish. Now, butter, knife, warm bread and some strawberry jam. Next slice, butter, knife, warm bread and honey. Next slice, butter, knife and warm bread! Why can’t I lose any weight?????? 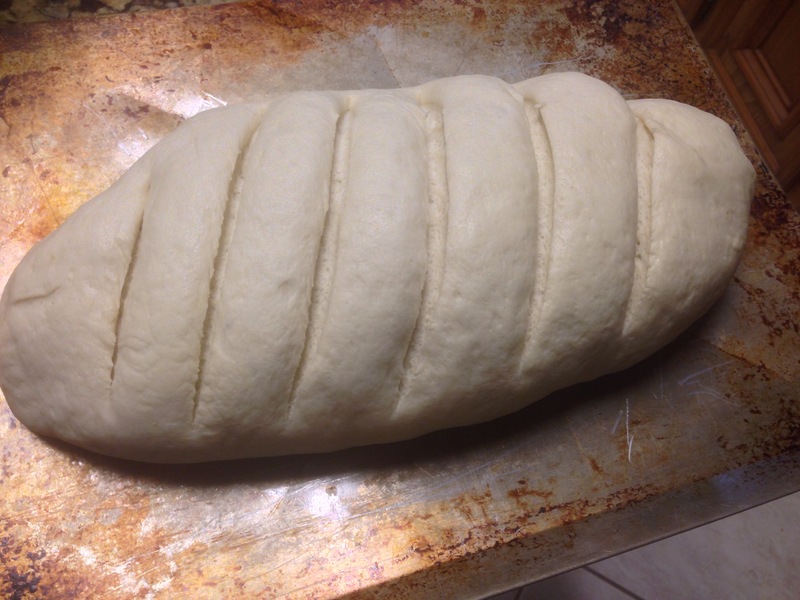 Proofed for 28 hours…..the sourdough flavor is outstanding! My garden here in Houston has been pretty much saturated by the constant repetition of wet winter storms over the past several weeks. Last week had the additional challenge of a “hard” freeze. I happened to be out of town so my wife and youngest son covered the sensitive shrubs and trees. Thanks Hun! I laughed a little when my wife said it was very cold! Why? I spent last week in North Dakota! According to the locals it wasn’t too bad. Several mornings up north it was only -18F and it never hit double digits on the plus side! For this Houston boy that is cold! I went out to “wade” through the garden and found a few sections with standing water. The strawberries and sugar snap peas are doing well! I fed the bees- filled the feeder and ducked back inside. Inside I decided to learn more about my sourdough bread making. I made two loaves but went with the slower process of creating a sponge and letting it sit overnight. The sit and rise process for the loaves was another 3 plus hours. The results? Mixed! I cooked each loaf separately. The first loaf was pretty dark! Oops, the recipe called for 425, I read 475! That explains it! 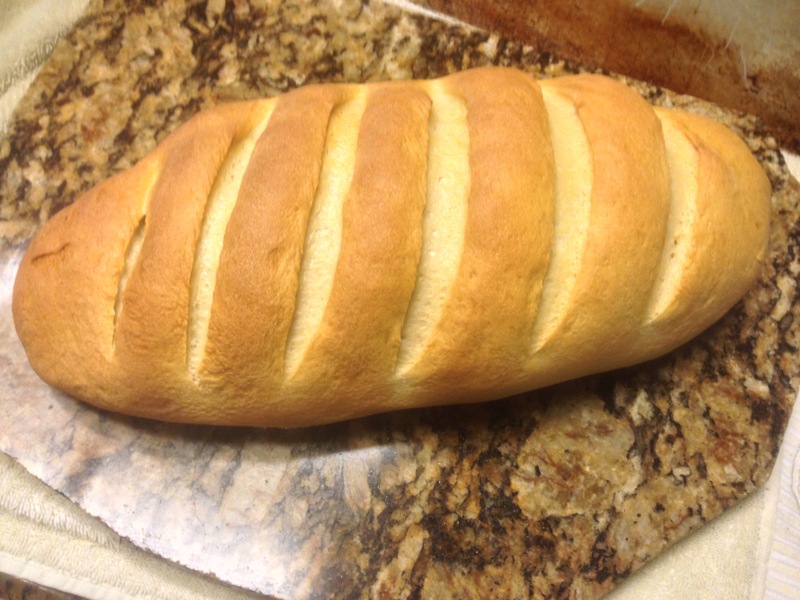 The second loaf looks great. Taste? More like sourdough. 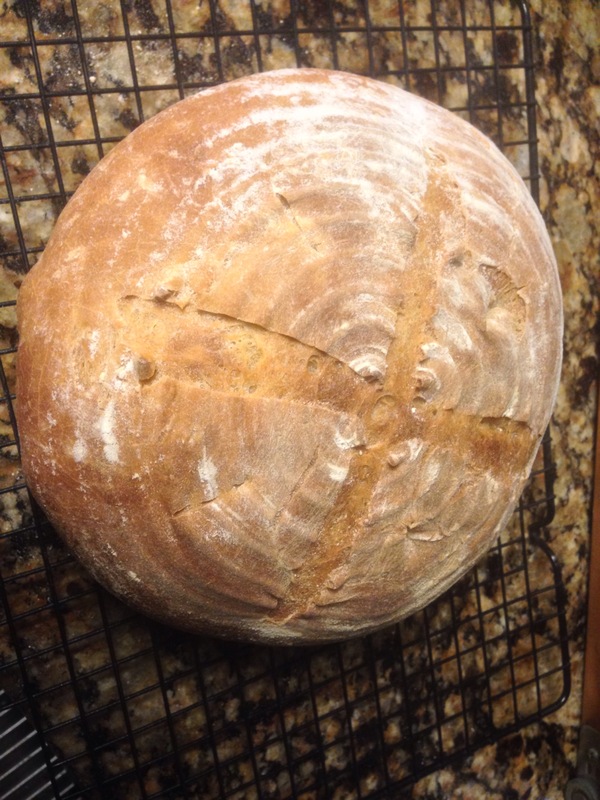 When I go with the quicker method and use yeast, the sourdough flavor just doesn’t come through as well. 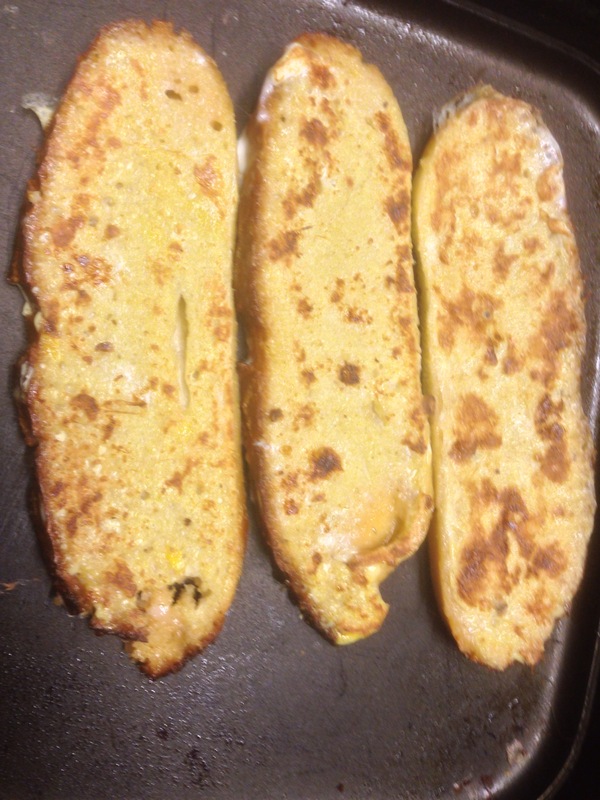 The first loaf still made some great French Toast! On a grumpy note. My wife’s “pet” squirrels are eating my strawberries before they are fully ripened! Something bad needs to happen to those tree rats! My wife would prefer that our cats chase them out but I may need to employ alternate means.